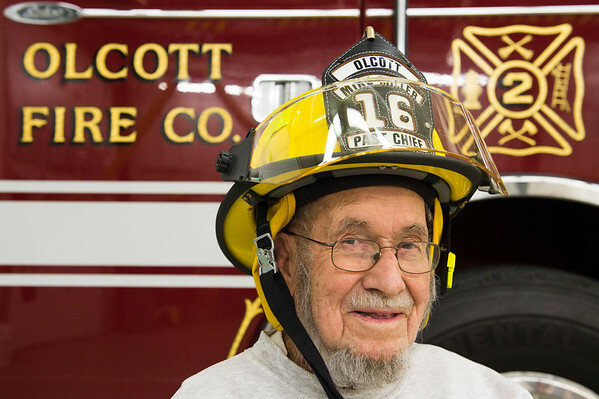 Joed Viera/Staff Photographer-Olcott ,NY- Clifford Miller Sr wears his grandson's hat in front of Olcott Volunteer Firefighter Engine No 2. Miller, 93, has been a member for 74 years. Four generations of the Miller family have been involved with the Company.